The movie Teenage Mutant ninja Turtles 2 Out of Shadows: trailer, clips, photos, soundtrack, news and much more! Did you manage to follow the pizza? Anyway, what do you think of their underground lair? Teenage Mutant Ninja Turtles 2 Out of the Shadows – Do you mind if I call you Melo? Teenage Mutant Ninja Turtles 2 Out of the Shadows – Take out the trash! 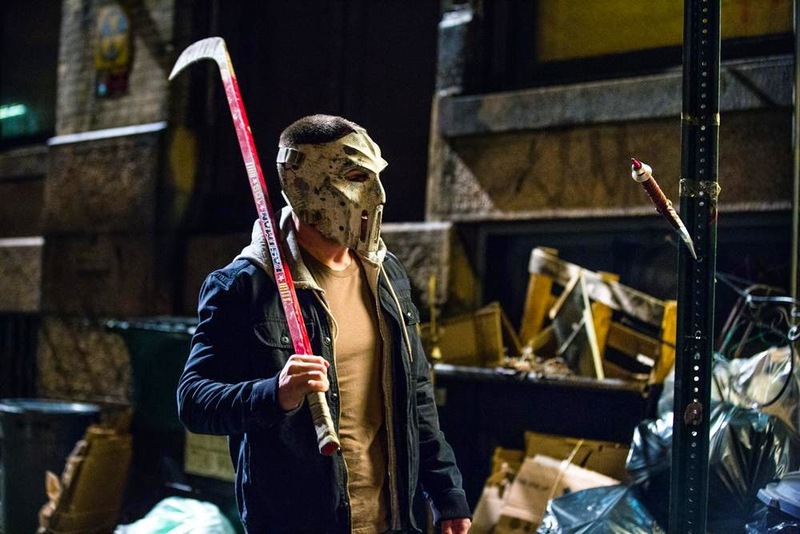 Is Casey Jones as gifted with a hockey stick as Oliver Queen is with his bow and his arrows? Do you think the ninja turtles really need his help? In theaters: June 3, 2016. Looks Stephen Amell has been having much fun on filming his scenes! The Arrow rules, lol! The Ninja turtles aren’t X-Men but they’re still mutant superheroes and they will protect the world against baddies, hell yeah! Do you think this version of the technodrome will sport a goofy all-seeing eye like in the animated TV series? The film is directed by Dave Green. it will be released in theaters on June 3, 2016. Wow, the ninja turtles secretly wish to turn into humans! The poster was created by Gallery1988 artist Dave Quibble. What’s that green stuff: sewage or Mountain Dew? lol! I sure would not want to cross paths with Rocksteady and Bebop… Those two ugly monsters are dangerous freaks! Teenage Mutant Ninja Turtles 2 Out of the Shadows – Gear up guys! Looks like we’re in a for a treat with this sequel! I’d say it actually looks even better than the first film. What do you think? 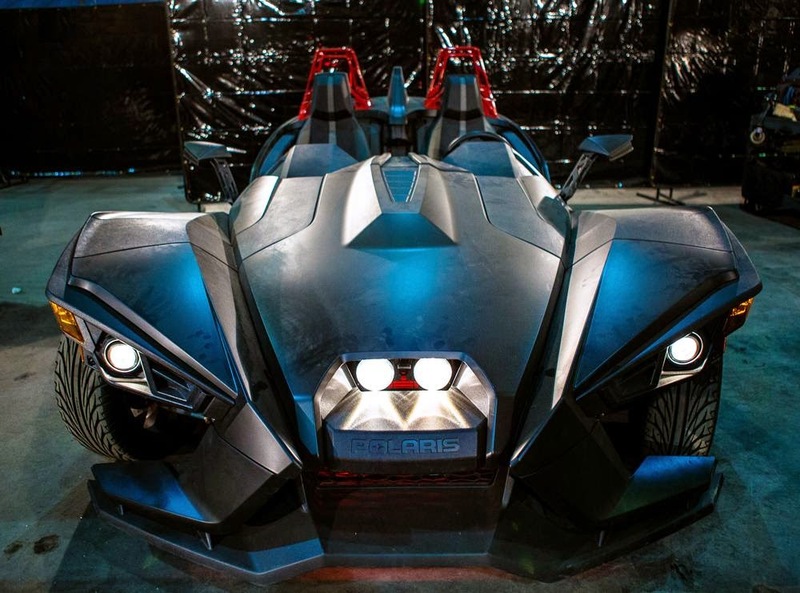 The cast includes egan Fox, Will Arnett, Alan Ritchson, Noel Fisher, Pete Ploszek, Jeremy Howard, Stephen Amell, Tyler Perry, Laura Linney, Stephen ‘Sheamus’ Farrelly and Gary Anthony Williams. What do you think of Shredder’s new helmet and armor? Hell yeah, The ninja turtles are back! Love the new bus and Bebop and Rocksteady will make for great mutant viullains on the big screen! 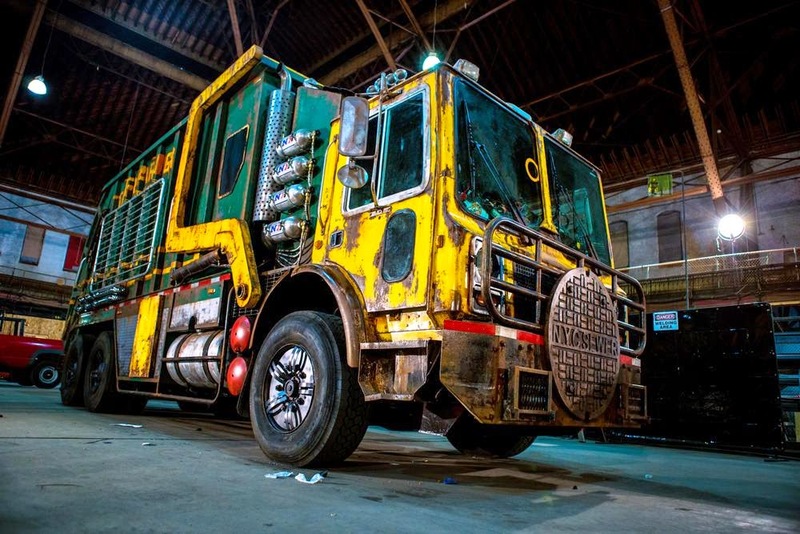 The film is starring Megan Fox (as April O’Neil), Will Arnett (as Vernon Fenwick), Stephen Amell (as Casey Jones), Tyler Perry (as Baxter Stockman), Brian Tee (as Shredder), Gary Anthony Williams (as Bebop), and Stephen Farrelly (as Rocksteady). It will hit theaters on June 3, 2016. Damn can’t wait to see this action-packed sequel! Evading police. Grand theft. Mayhem. Aggravated assault. Stay tuned with us for the full trailer, it will be released online tomorrow! 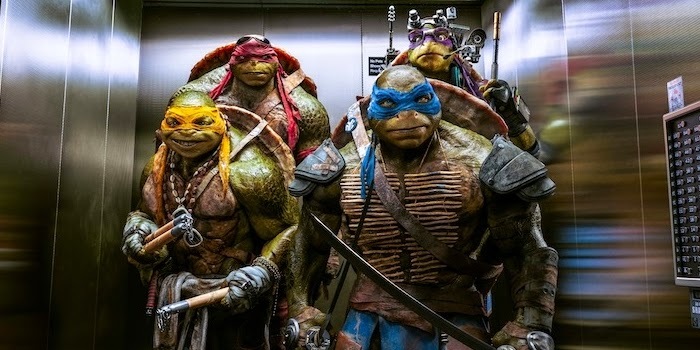 The 2014 remake of Teenage Mutant Ninja Turtles was a box office success, grossing over $477 million worldwide. So it’s no surprise to hear that there’s a sequel ahead of us… yep get ready for Teenage Mutant Ninja Turtles 2! Paramount even announced a release date: the film will hit theaters on June 3, 2016. 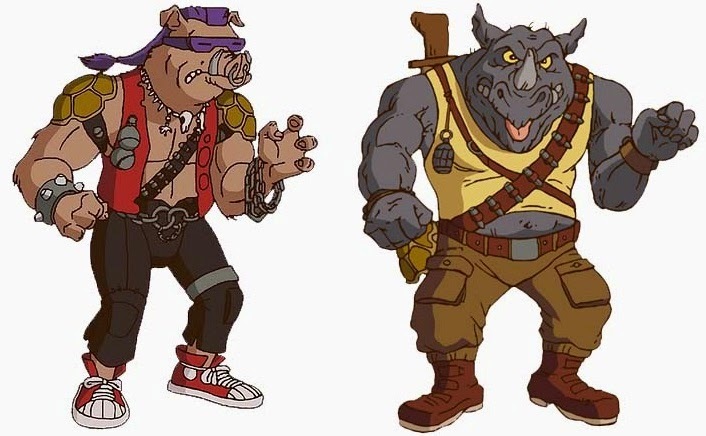 The plot hasn’t been announced yet, but we heard that Bebop (the warthog/human mutant) and Rocksteady (the rhinoceros/human mutant) will appear in the upcoming sequel. Director Dave Green (the man behind Earth to Echo) is set to helm the film based on a script by Josh Appelbaum and André Nemec. 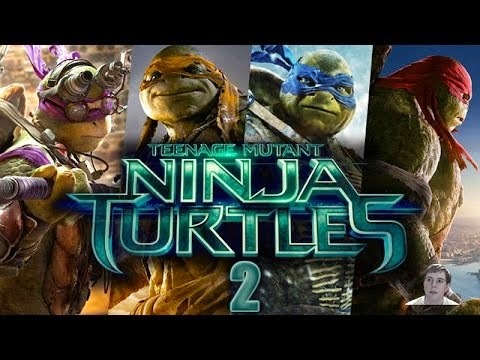 Do you have any suggestion regarding the plot of Teenage Mutant Ninja Turtles 2? The latest remake of Teenage Mutant Ninja Turtles is performing quite well in theaters. And it won’t be long before the studio recoups its production budget ($125 million). So it’s not that surprising to hear that Paramount is already planning a sequel. 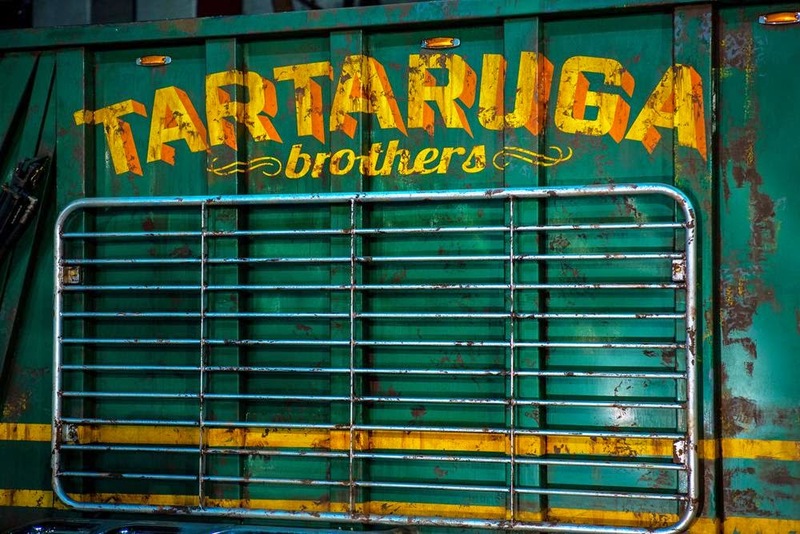 We can indeed get ready for Teenage Mutant Ninja Turtles 2! There’s even an official release date: the film should hit theaters on June 3, 2016. Screenwriters Josh Appelbaum and Andre Nemec, who wrote the script of the first film, are set to work on the script of the sequel. No word yet if Director Jonathan Liebesman will be back. Most of the cast will likely come back. No plot announced yet, but maybe you have a suggestion? Share your thoughts below! Anyway, stay tuned with us for more details about Teenage Mutant Ninja Turtles 2.